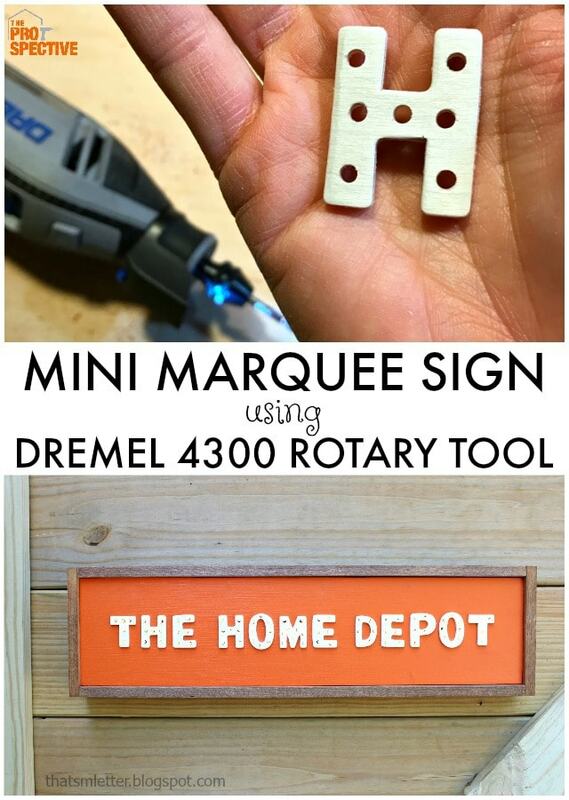 * This post is sponsored by The Home Depot and includes affiliate links. It’s no secret that my workshop happens to be outside so I end up moving all my tools in and out every time I want to work. 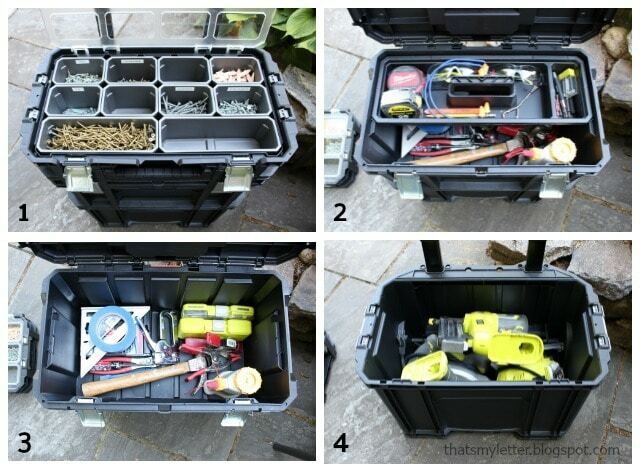 Easy portability is key and today I’m sharing 4 tools that help make up the portable workshop. 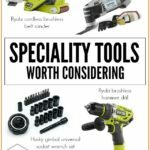 Even if you have an amazing indoor workshop you might want to consider some of these portable tools for your space. That would be a clean photo of my workshop. 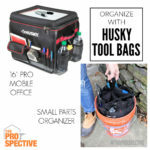 I’ve shared a messy version many times on Instagram but now I have this amazing rolling toolbox system from Husky so I can bring all the hardware and tools out in one swoop! 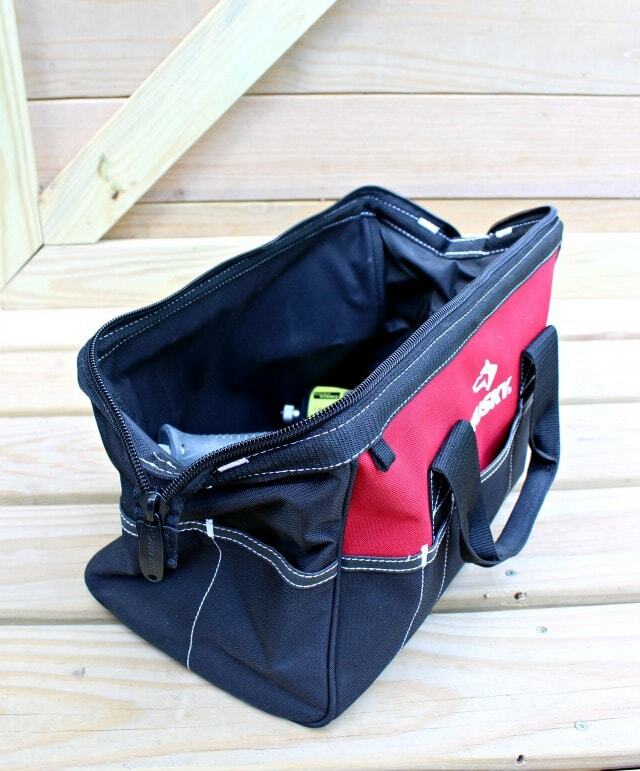 Four levels of storage with multiple compartments! I put all my most frequently used items in here so I only have to make one trip from the basement, roll the toolbox out and get to work. 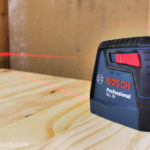 The second must have tool in my outdoor workshop is the radio. 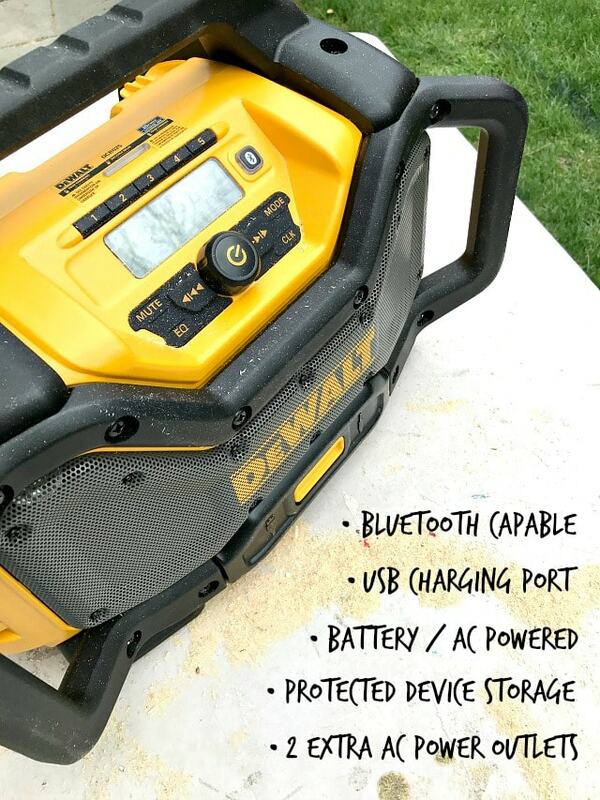 I’ve been using this Dewalt Bluetooth Radio since May and it’s become a necessity so much so my kids ask for it every time we are outside. This is one rugged portable radio. 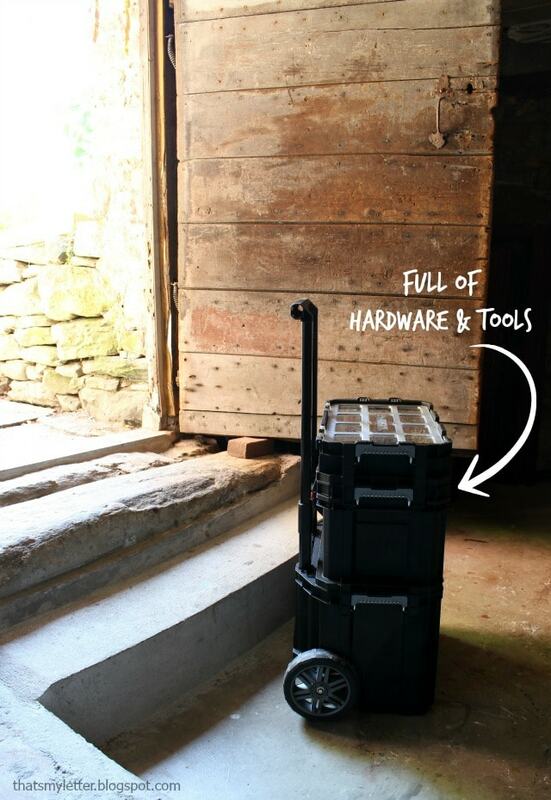 And it can handle all the sawdust and extreme temperatures like a champ. I try not to leave it out in the direct sun but it happened and is no worse for the wear. 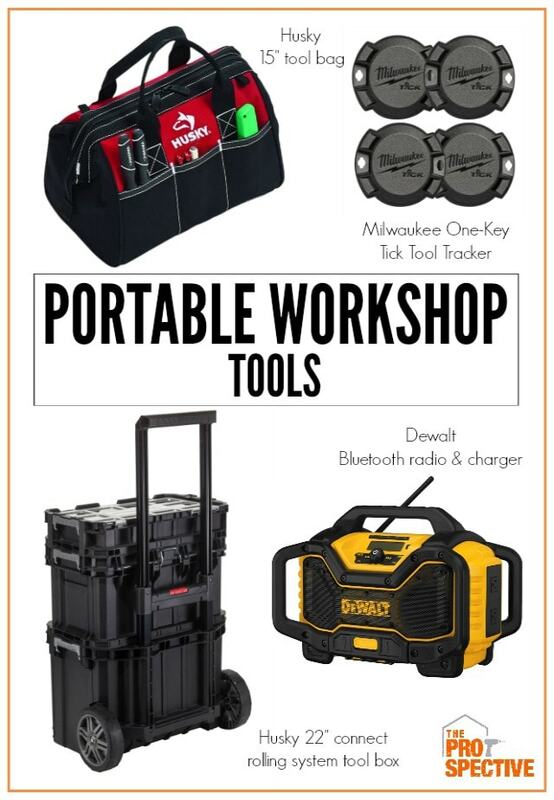 If you’re looking for a rough and tumble workshop or jobsite radio this is definitely a great option. 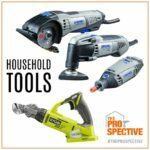 The next portable tool is completely useful for any homeowner doing odd jobs around the house when you only need a few select tools. 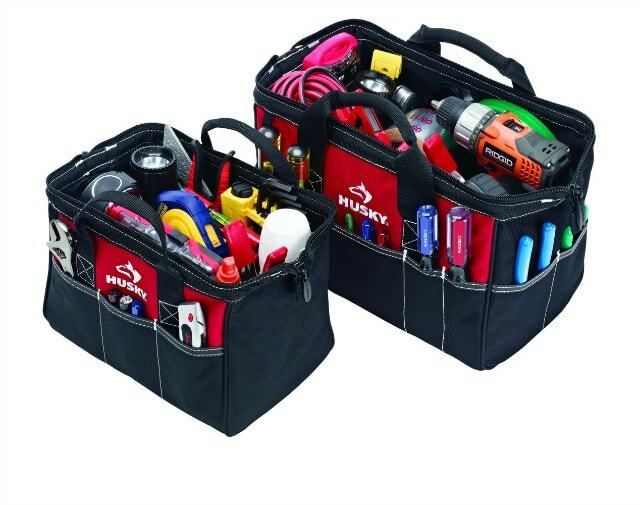 The Husky 15″ tool bag is the perfect size for just the basic tools and it even stays completely open on its own! Say what? How much stuff can you fit in there? And the 15″ bag is on the right side. 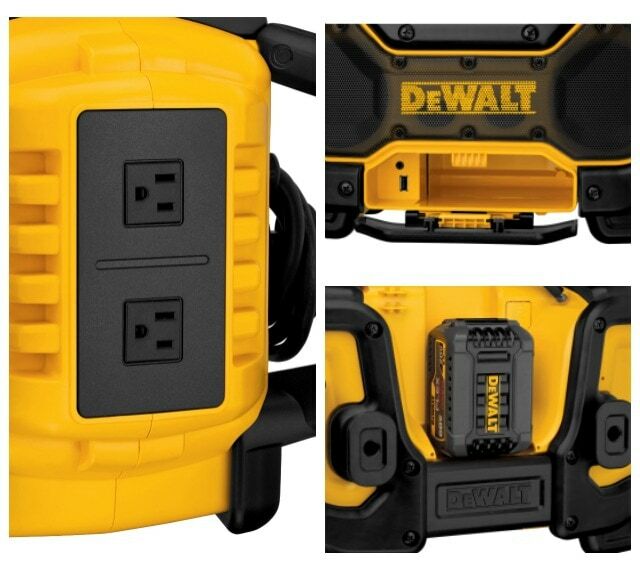 The left side is the smaller version at 12″ but still perfect for those with few tools or apartment living. 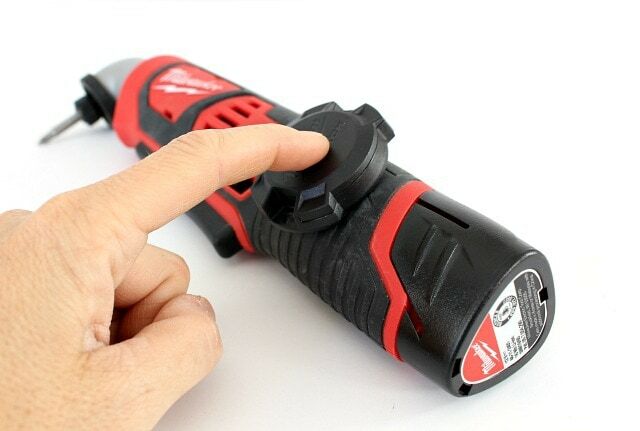 Last on the list of portable workshop tools is the Milwaukee One-Key TICK Tool and Equipment Tracker. 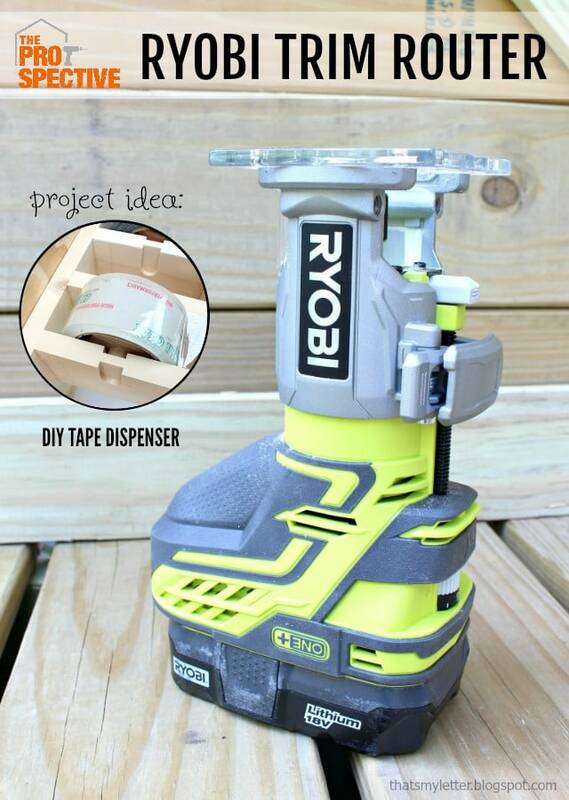 This is where technology and tools intersect and it’s amazing. Simply download the Milwaukee One-Key app, attach the TICK onto anything (you can glue it, screw it, rivet or zip tie) then activate the TICK and track your tools. Basically if you want to keep track of your tools I suggest attaching a TICK onto it and then you’ll never have to guess where those tools are located again. 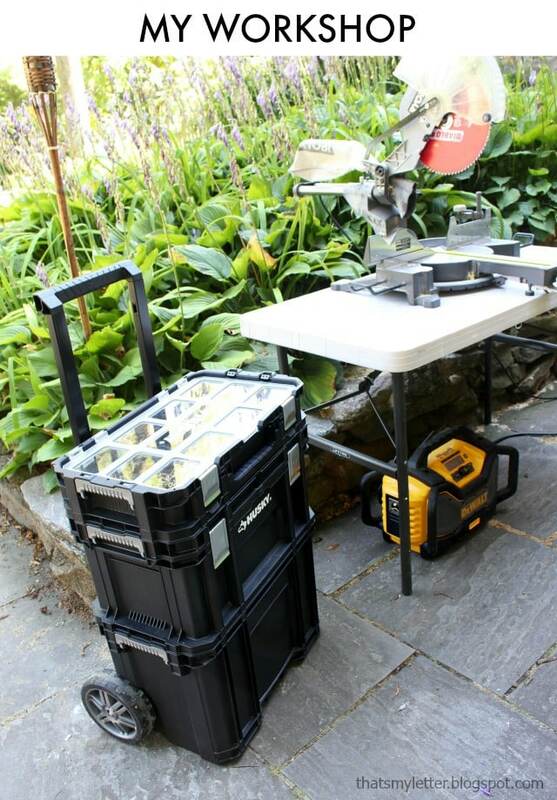 The TICK battery will last one year and is weather, water and dust proof. There are all kinds of notifications you can set up in the app like missing tools, service reminders and low batteries. This tracker is meant for larger items (think commercial rental equipment, facilities situations, maintenance departments, etc.). 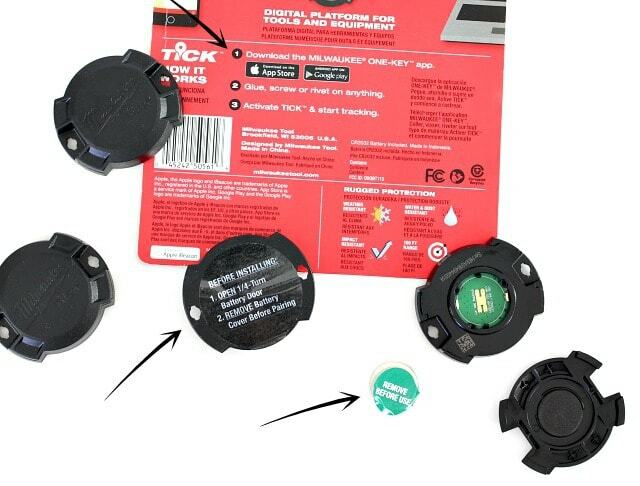 Sometimes I’ll lend a tool to a friend in which case it would be nice to use the TICK tracker but it’s too big and not really able to be applied to smaller tools (see photo below). As a DIYer and basic homeowner I wish this system operated using a smaller tracker but I’m sure that will come sometime in the near future. 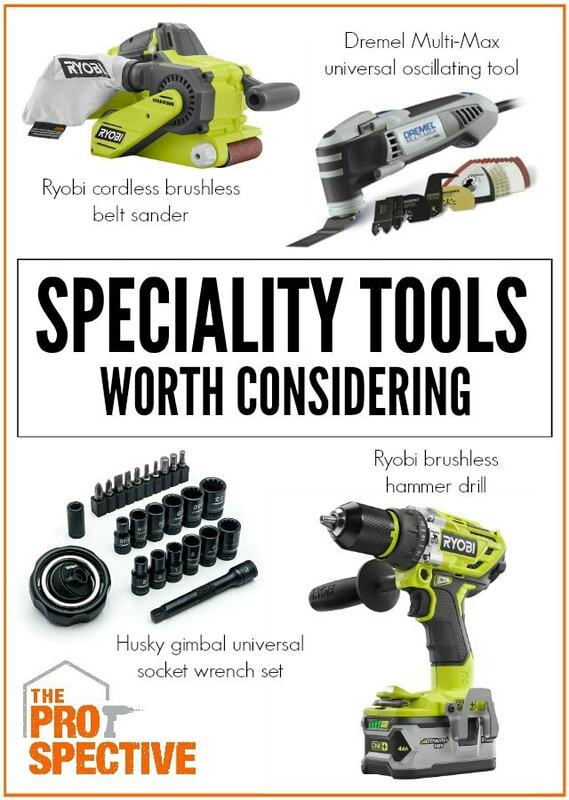 I hope you enjoyed reading about these portable workshop tools. It’s great to see all the new and different solutions for workshop situations and make your space work the best for you. * I acknowledge that The Home Depot is partnering with me to participate in this Tool Review Program. As a part of the Program, I am receiving compensation in the form of products and services, for the purpose of promoting The Home Depot. All expressed opinions and experiences are my own words. My post complies with the WOMMA Ethics Code and applicable Federal Trade Commission guidelines.